Details: Front porch turned columns and decorative railings; fret work between columns, corner boards, windows with poly chromatic surrounds and crowns. Historic Features: Front gable, full front porch, deep eaves with fascia boards, decorative front door with transom window. 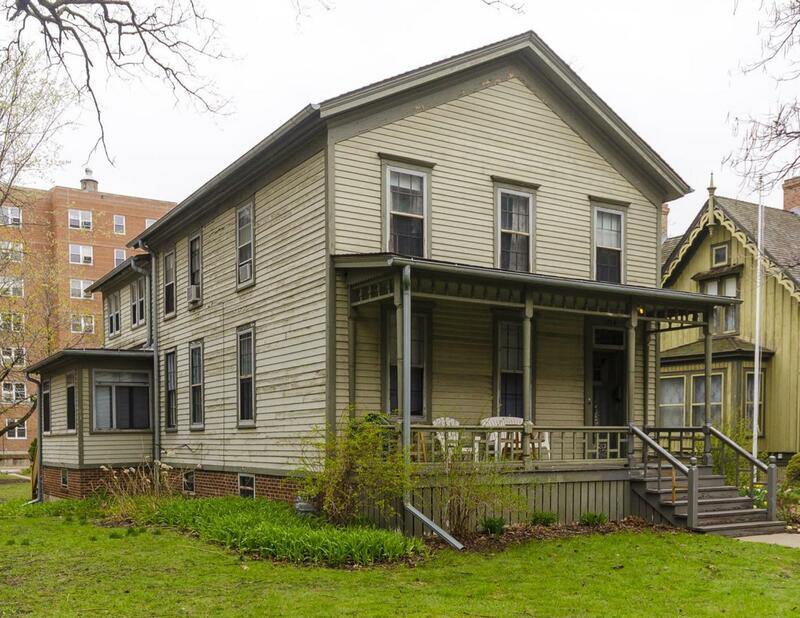 Historic Info: Lease for property dated 1889 in Evanston History Center Building Files. Evanston Landmark. 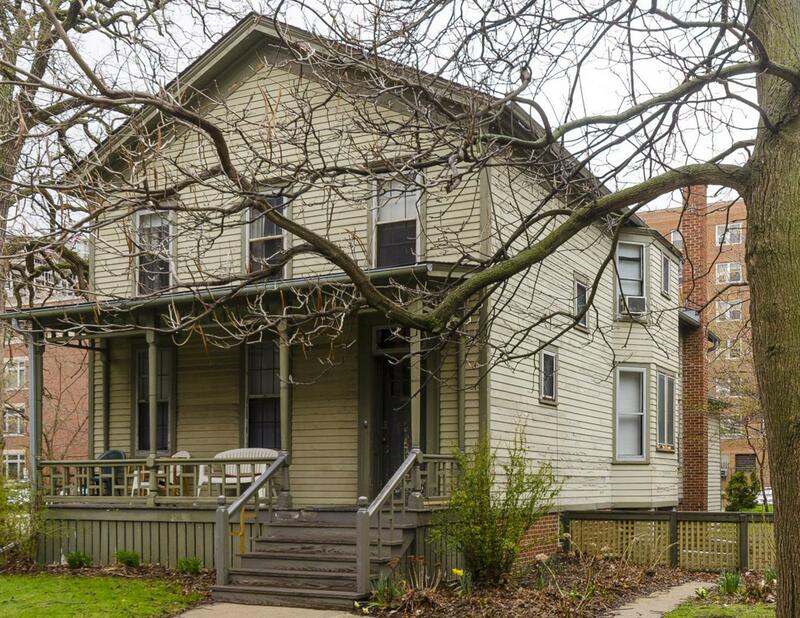 Statement of Significance "...This is probably the oldest remaining house standing in its original location dating back to the early days of the village platted by Philo Judson for Northwestern University..."